Comparing Internet Speeds: Faster Than the Neighbors'? Broadband @ Home » Connected @ Home » Comparing Internet Speeds: Faster Than the Neighbors’? Comparing Internet Speeds: Faster Than the Neighbors’? Who has the fastest Internet connection in your neighborhood? Are you the trailblazer, leaving everyone else in the dust, or does your connection lag behind? When it comes to comparing Internet speeds, how do you find out if you or the neighbors come out on top? Internet connection speeds are typically measured in transfer rates of megabits per second (Mbps) and include two values, one for download speed and one for upload speed. Downloads are always faster than uploads, and usually by a wide margin. If your connection has a 1 Mbps download speed, for example, this means you’re able to transfer one megabit of data from the Internet to your computer every second. It’s important to note, however, that most providers advertise the highest possible speed of their connections when they sell plans. This means 1 Mbps would be the maximum you’d ever see — and it wouldn’t happen very often. 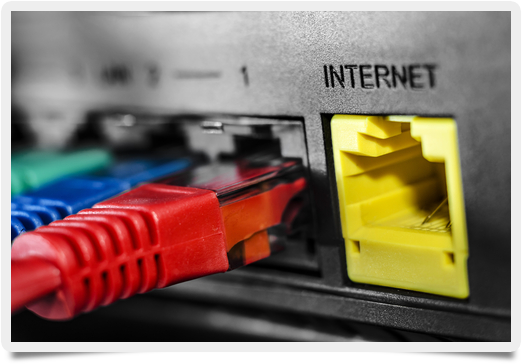 Most residential broadband Internet plans rely on ADSL or cable connections, which use phone lines and coaxial television cables, respectively. Both can offer speeds from 5 Mbps up to 30, 40, or even 50 Mbps — with some providers now pushing ADSL into the hundred-megabit range. Cable connections often have higher maximum speeds, but their speed suffers when multiple users are connected at the same time, since there’s usually just a single cable “pipeline” running out of a neighborhood back to the provider. ADSL connections, meanwhile, offer dedicated service. Fiber-optic connections are also available in some major urban centers and offer download speeds of 500 Mbps or more. When it comes to comparing Internet speeds with your neighbors, the first question is connection type. If they’re using fiber-optic and you’re on cable, they’ll have a faster connection. If you’re both using ADSL but they choose to connect wirelessly and you don’t, chances are you come out ahead because WiFi strength and speed depends on how far you are from the router, how many people are trying to connect, and how many other wireless networks are currently active. If you have a wireless-enabled device, scan your neighborhood for signals and see which ones are the strongest; this may indicate a powerful router, solid connection, or combination of both. The easiest way to compare Internet speeds is for you and your neighbor to use a free online speed test and see who comes out ahead. These tests report the actual download and upload rates of your connection, giving you an idea of how it performs day to day. If you find yourself consistently behind the neighbors or wanting for speed despite a solid service plan, it may be time to switch providers. The increasing availability of fiber-optic networks and improved ADSL speeds mean companies are now courting average Internet users looking for above-average speed.